Ordeal | Sana Ako si Ricky Lee! Did Kuan Kong Save a Boy from the Wrath of Typhoon Yolanda? The past few weeks we’ve heard a lot of horror stories about the ordeal of the people who were affected by Typhoon Yolanda or Typhoon Haiyan. It seems that regardless of social or economic status, no one was spared in the affected areas. In fact, the mayor of Tacloban, Leyte himself was greatly affected and had to wear a looted shorts so that he can just wear something ‘decent’. But amidst these terrible, horrific, sad stories, there are other people who have miraculous experience that helps strengthen their faith. Whether Catholic, Buddhist, etc. there are a lot of those stories. One of those stories is about a 6-year-old Filipino – Chinese boy. 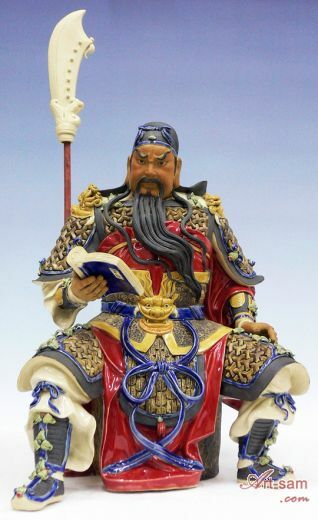 HT’s father is a Kuan Kong (also spelled as Guan Gong or Kwan Kong) devotee who will always tell his son that whenever he feels afraid he should simply call on Kuan Kong and Kuan Kong will come and be with him and protect him from all dangers. Little did they know that this would be put to a test. Like most people from the affected areas, they were told that there is a strong typhoon coming their way, that this could be the strongest typhoon of the year. But because Philippines are a typhoon country, we thought we know how to prepare for a super typhoon, because this is not the first time that we had a super typhoon. Now we know that Typhoon Yolanda with international name Typhoon Haiyan, is more than just a super typhoon. In fact, it is now officially considered as the strongest typhoon ever to hit earth on recorded world history! It is that bad! So like other families in Tacloban, Leyte, HT’s family tried their best to prepare for the Typhoon Yolanda and while their house was strong enough to withstand the rains and the winds, they, like most people were not aware of storm surges. They were prepared but when storm surges started to come in, their house that never experienced being flooded was suddenly with knee-deep water. The knee deep water soon started to rise, and while HT, his dad, his mom, and 2 other older brothers with the helpers are on the second floor, it became obvious that being on the second floor will not save them. The sturdiness of their house now seems to work against them, because they were trying to break their ceiling so that they can have room to breath or go out by the roof if necessary. At this time, HT’s father with a helper was on a ‘folding step or ladder’ trying to break off the ceiling. HT, his 2 older brothers were with his mom in the same room, and another helper is assisting the mom who because of the strong current is having some difficulty holding the children. HT’s father was still trying to break the ceiling when all of a sudden a strong current came in, through the windows, the current hit the stepladder and they were wash away by the water. Her husband that she accidentally let go of HT also hit HT’s mom. HT was brought by the strong current and was taken out of the master’s bedroom. There was a temporary panic and except for HT everybody was accounted for in the room. HT’s dad decided to look for HT while the two helpers continue to try breaking the ceiling. According to HT’s dad it was an intense moment, his youngest son was so small that part of him believes that he can easily hit a wall and die. He first looked for him towards the stairs and was afraid that the current might have sunk him back to the first floor. If that’s the case he knew he has lost HT! He was about to dive in to the water going to the first floor when ‘instinct’ told him to check the old bedroom of his parents which is now used as a guest room. He went inside and saw HT unconscious with half of his body on a table and the other half in the water. He immediately approach HT fearing the worst but as soon as he held HT, HT woke up. He also realized that part of the ceiling of the guest room has given in to the rain and wind, and realized that it was their way out. With HT he went back to get his wife, 2 other children, and helpers. To make the long story short, they were able to escape and stayed on their roof. That was not the end of their ordeal but it soon became apparent that they were going to be saved. So what happened to HT? Nobody really knows for sure. My cousin told me this story. HT’s father is his friend. I don’t know how much of the story is still accurate because we all know that stories can muddled every time we tell them. But according to my cousin, when they were still in the master’s bedroom, knowing that they were in danger, HT decided to heed his father’s constant advice and that is to call on Kuan Kong. So that’s what he did, he kept on calling Kuan Kong. HT doesn’t remember anything about the surge of current and being washed away by the water. But he said that he saw Kuan Kong’s face before he lost consciousness. Is it possible that Kuan Kong was the one who saved HT? Personally speaking, although admittedly I may be biased, my initial reaction about this ‘tremendous’ type of testimonials is to be skeptic about it. However, this came from a 6 – year –old boy, and given the circumstances surrounding the story, it is unlikely that a 6 – year – old boy can come with a story such as this. On the other hand, I shouldn’t be surprised anymore because I’ve always believed that Kuan Kong is one of the most powerful Bodhisattva in Buddhism and a very powerful deity in Taoism. In fact, some groups believe that he is now the new Jade Emperor. It is also because of my personal devotion to Kuan Kong that I made sure that his image is included in the WISH FULFILLING AND BUDDHA’S BLESSING MANTRA PENDANT that I design initially for myself and for my family but has since then been requested by a lot of my readers. So I guess, what I’m trying to say, whether Kuan Kong was a product of a child’s imagination, who is to say that there was no miracle that happened that day? 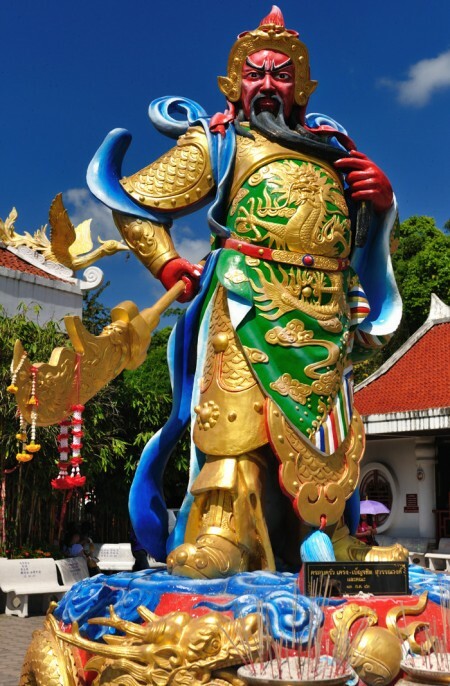 Kuan Kong is also called Guan Yu, Kuan Yu, Kuan Ti, Guan Ti, Kwan Ti.